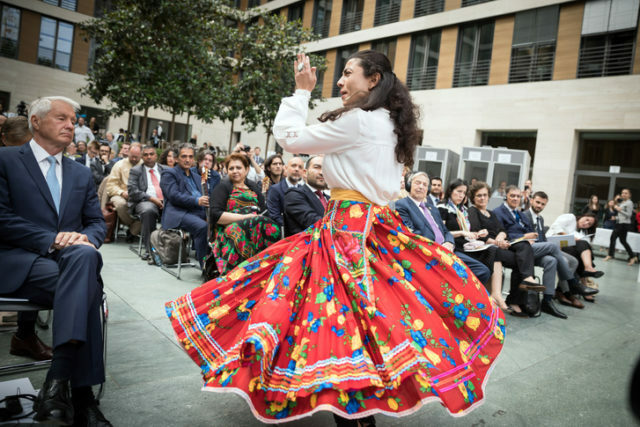 On 08 June 2017, the European Roma Institute for Arts and Culture was launched in Berlin during the opening ceremony for the Institute’s opening art exhibit, staged in the Lichthof courtyard of the German Federal Foreign Office. 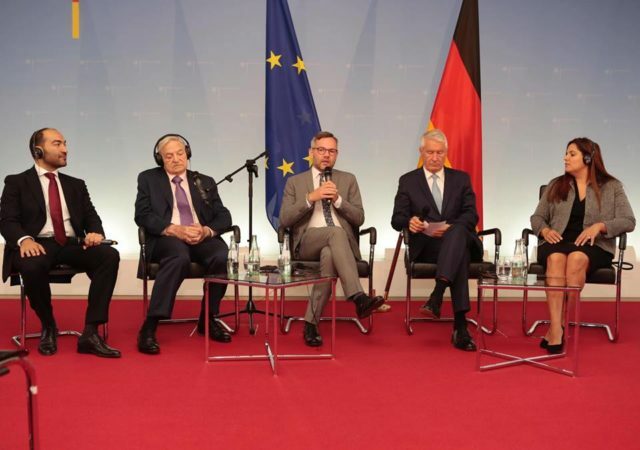 The grand opening was attended by Thorbjørn Jagland, the Secretary General of the Council of Europe; Michael Roth, Minister of State for Europe at the Foreign Ministry of the Federal Republic of Germany; George Soros, chair of the Open Society Foundations; Zeljko Jovanović, chair of the board of ERIAC; Timea Junghaus, ERIAC spokesperson; Sead Kazanxhiu, Romani activist and painter; Dijana Pavlović, chair of the Alliance for ERIAC; and Romani Rose, chair of the Central Council of German Sinti and Roma. The ceremony was broadcast live on the Facebook. 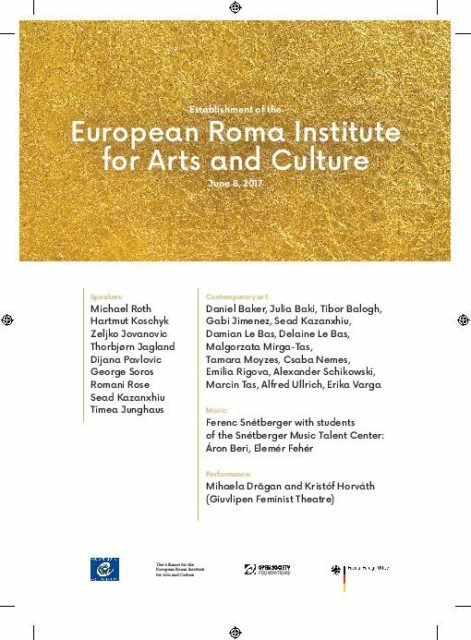 It was launched with the opening of an art exhibit featuring Roma contemporary artists from seven countries—reflecting the new institute’s focus on creating a space for under-represented Roma artists, performers and thinkers in the mainstream of European art and culture. 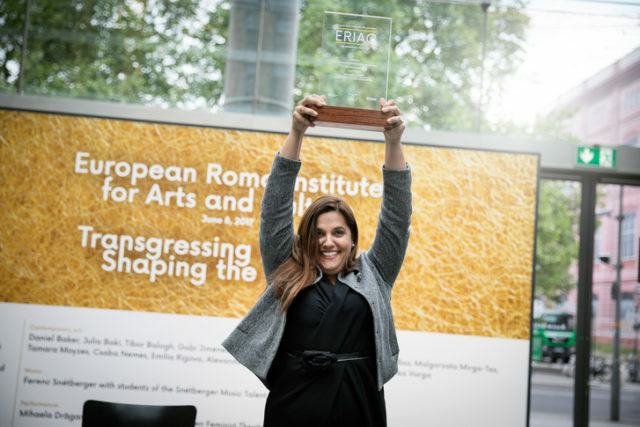 The institute was born out of an effort by a broad coalition of Roma scholars, activists, and artists who first created the Alliance for the European Roma Institute to lobby for the idea. 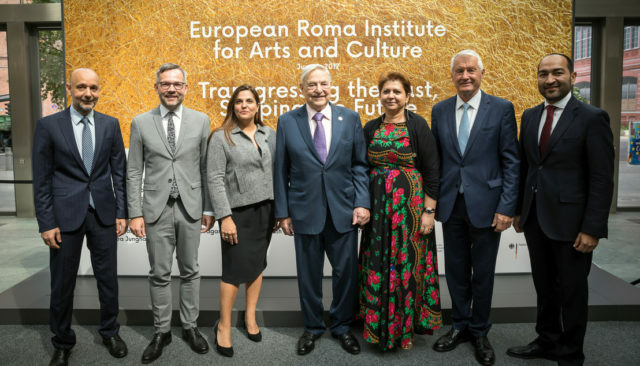 The Alliance became the driving force in making the Institute a reality, winning support from the Council of Europe, which represents 47 European states, and the Open Society Foundations of philanthropist George Soros, an energetic advocate for Roma causes. 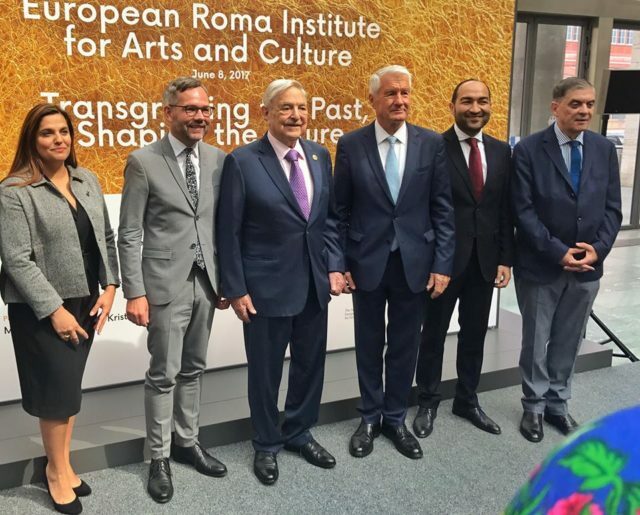 The European Roma Institute for Arts and Culture will formally open its central Berlin premises in the fall. 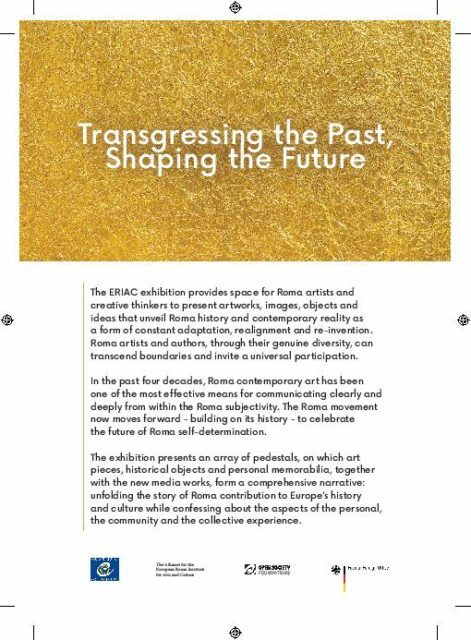 After the opening, the Institute will launch a Europe-wide call for membership and organize its first artistic and cultural events.